Discussion in 'Frontpage news' started by (.)(. ), Sep 1, 2015. 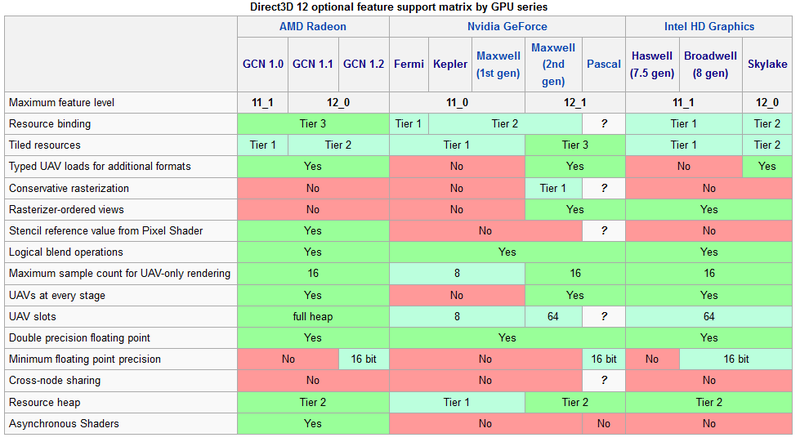 Yesterday, we informed you about the missing DX12 features of NVIDIA’s Maxwell. A lot of people criticized the green team, however it appears that there is more to this story than meets the eye. After all, AMD’s Robert Hallock revealed that FuryX is also missing a number of DX12 features. Robert responded to a Reddit thread regarding the DX12 features that are missing from NVIDIA’s graphics cards, and claimed that there is no such thing as “full support” for DX12 on the market today. And yes, that also includes AMD’s graphics cards. EVGA Geforce Titan X Hyb.